September means back to school, pumpkins and the fall season. This month is also recognized as National Responsible Dog Ownership Month started by the American Kennel Club (AKC), aimed at helping pet parents raise happy and healthy dogs. Lots of love and playtime，either indoor or outdoor play time. Well if you are out with your pets this water and dirt proof dog seat cover would be necessary for you: https://t.co/qSYaRArYuk. it is easy to use and clean. Innovation Next Gear. 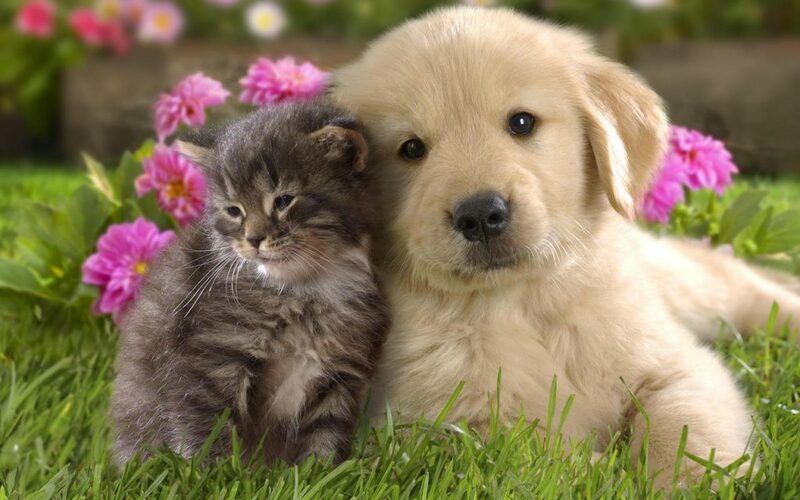 Everything about #Pets and #homeimprovements stuff. We are keeping all our efforts to bring great #innovation products to your life. When a disaster strikes, there is often little time to prepare our homes, families, and pets for the damage to come. September is National Disaster Preparedness Month. This is a good time to identify what you would need in order to take care of your pet, should you have to evacuate your house in a hurry. Make a list of the items your pet could not live without, grab a large, preferably clear container, and get to work preparing an emergency kit for your furry child. As I try to imagine what it would be like at my house in the event of a flood, or a tornado, or another type of emergency, I picture my sweet dog, Summer, panicked and afraid. She tends to run away or hide in a corner when she is scared. It is a terrible mental image, but one that has driven me to keep a few more things in mind, to make sure I am completely prepared. ID your pet. Make sure your pet wears a collar with current ID tags at all times. Know your pet’s location. Does your pet have a favorite hiding spot when he/she is scared? Know where that spot is so you or a family member can retrieve your pet quickly should you need to leave in a hurry. Notify others that there is a pet or pets in your home. 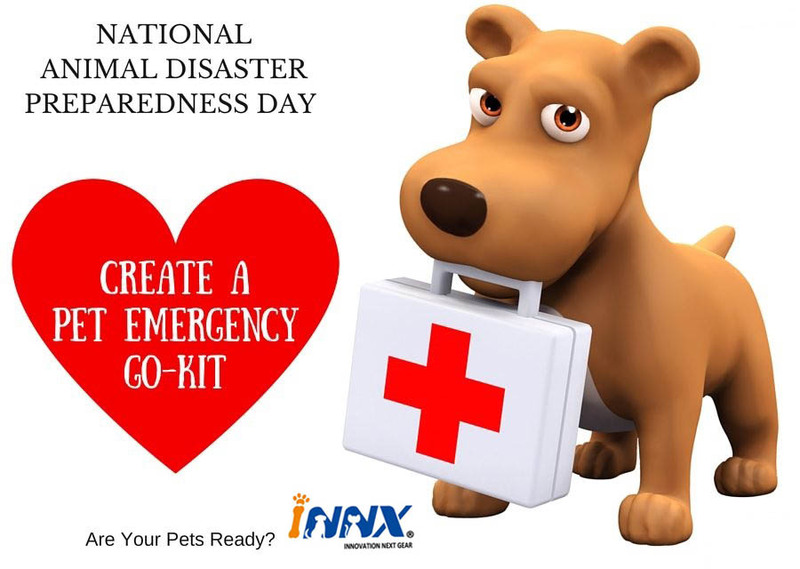 Disasters are unpredictable and can cause serious damage to our homes and loved ones, including our pets. A disaster can happen to anyone at any time, so be sure to take caution and prepare. 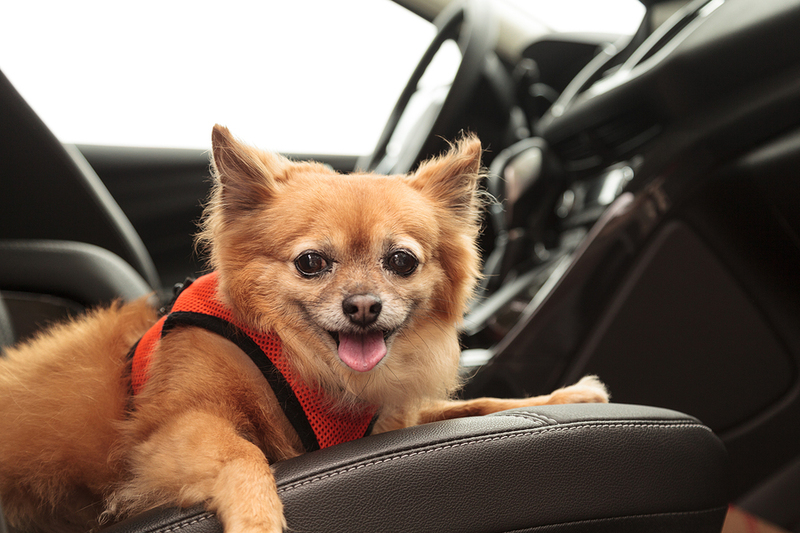 Pomeranian and Chihuahua mix dog goes for a ride in the car. He is strapped in with a harness that attaches to the seatbelt for safety.